Whenever I feel uninspired, bored or just not too fussed about fashion, I’ll un-dust one of my many stripey breton shirts. The quintessential Parisian style staple always delivers, looking pulled together and relaxed at the same time. Who doesn’t have at least 3 stripey shirts in their wardrobe? The nautical stripes were made famous in 1917 by no other than Madam Coco Chanel herself, establishing the shirt mariniere as a style icon. 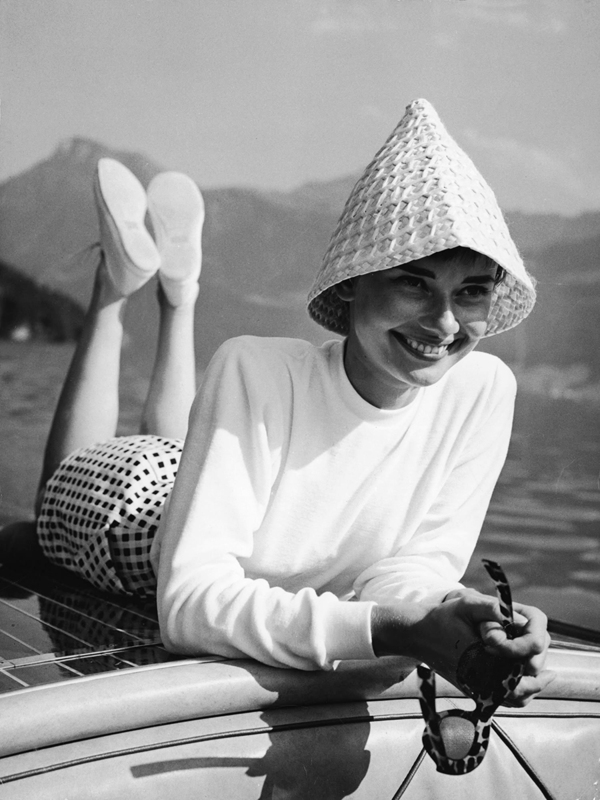 Countless celebs followed suit, from Audrey Hepburn to French cool Girl Clemence Poesy. 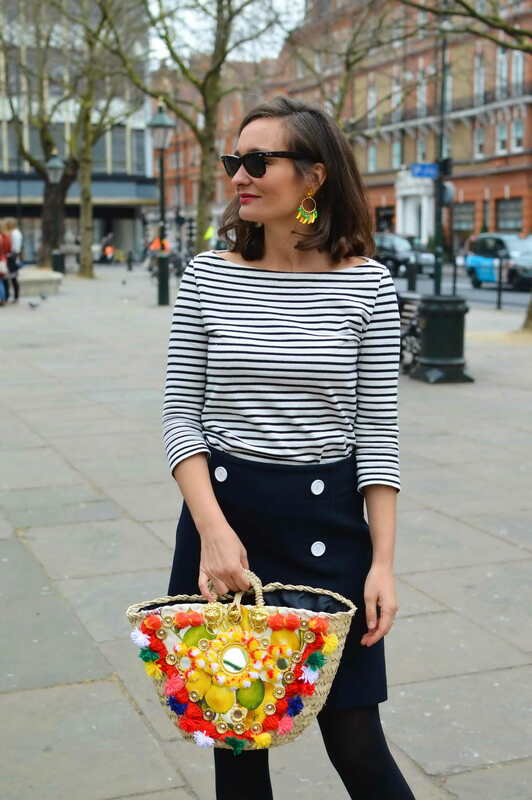 My favourite look is to go all out on the sailor theme by teaming my stripey J Crew shirt (love the relaxed fit and the boat neck) with a navy straight skirt and white buttons. 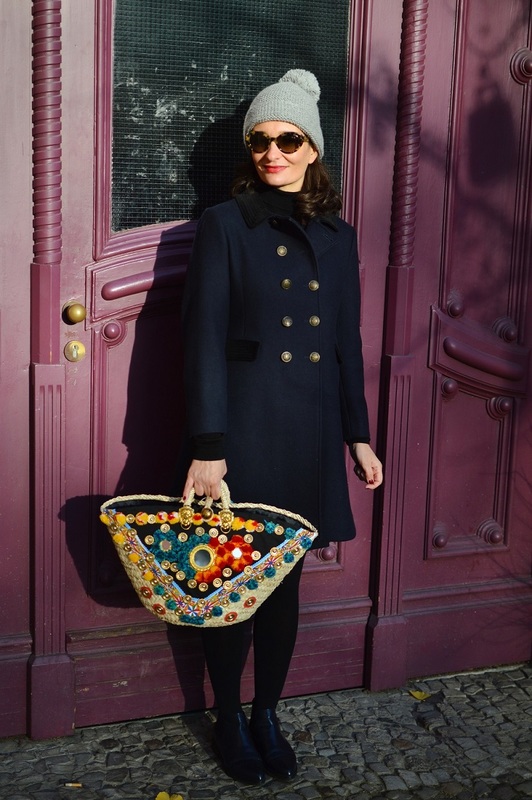 To finish off the French look, I add a small straw bag for the Jane Birkin flair, St Tropez circa 1967. 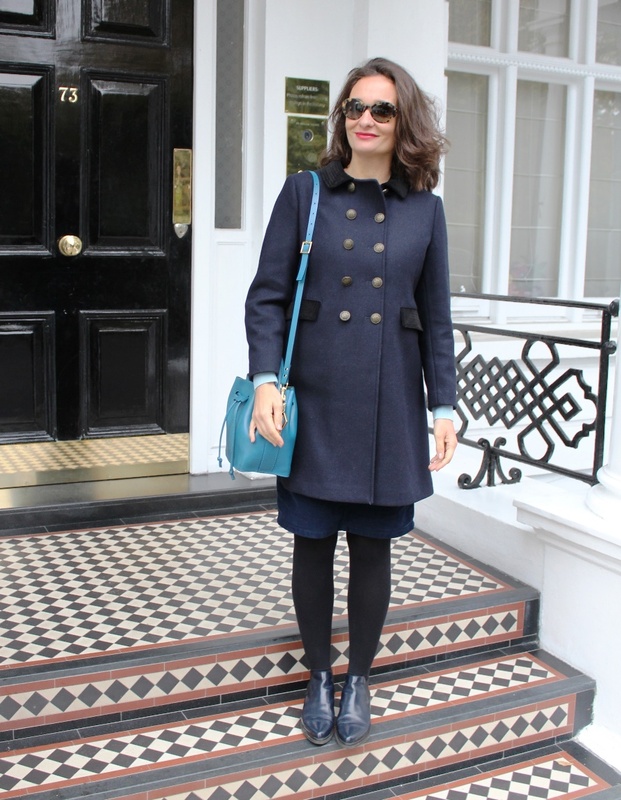 What’s your favourite way of styling this timeless Piece? Would love to hear from you! 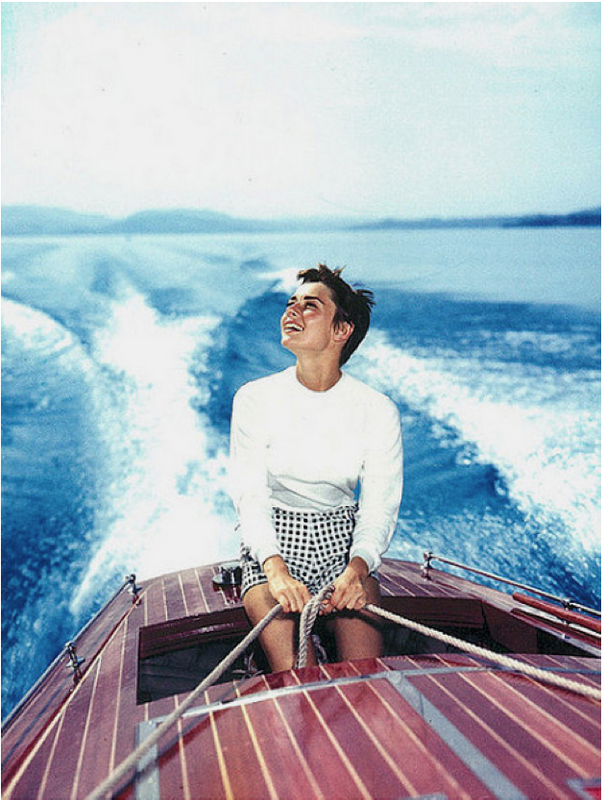 Audrey Hepburn looking chic in the nautical look. Love how Clemence Poesy mixes up styles: A relaxed sailor tee paired with a boucle tweed skirt on the red carpet. Parfait! The Bridal season 2016 starts with spring, hence I turn an eye to my favourite celebrity wedding looks from over the years. Let’s get inspired by iconic wedding brides throughout all decades to help you plan your wedding. No matter what stage of life you’re at, staring at brides is a happy pastime! 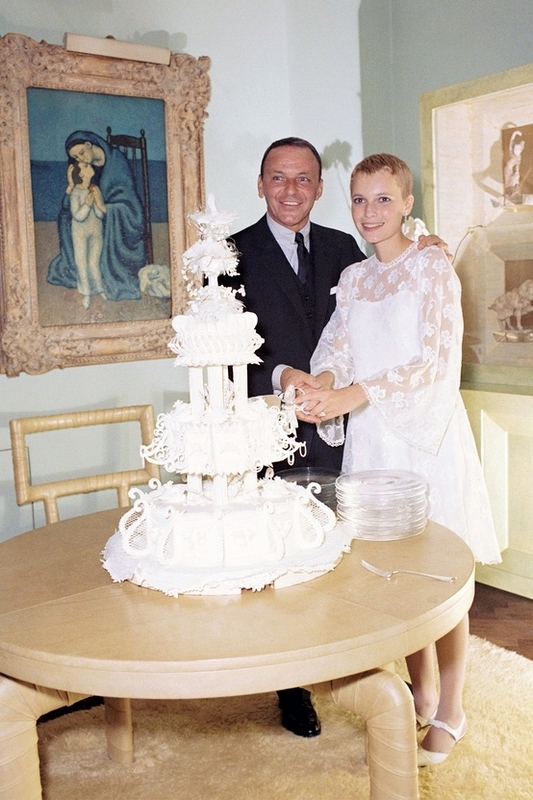 Sinatra married actress Mia Farrow in Las Vegas on July 19, 1966. She was 21 years old and he was 50. 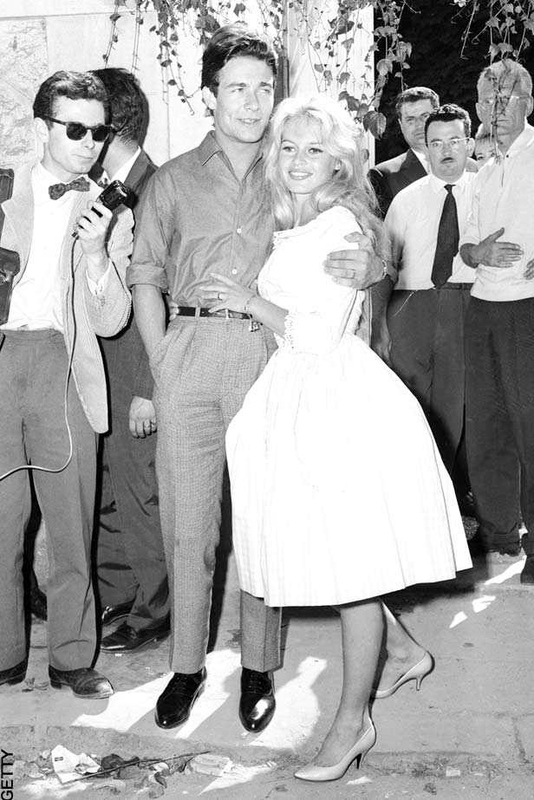 Brigitte Bardot wears a Vichy dress to marry Jacques Charrier, 18 June 1959.
producer Patrick Curtis in Paris, February, 1967. My all time favourite bride is Catherine Deneuve. On her wedding day in London she arrived at the altar in the simplest of black dresses, setting a trend in the Swinging London of those years. 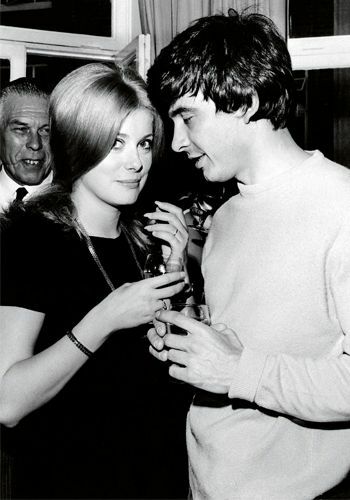 Deneuve has been married only once, to photographer David Bailey from 1965 to 1972 – the brilliant photographer who created shots of her that appeared in the 60s in fashion magazines across the world, making her an international star. Keira Knightley wore a Chanel couture SS06 dress and a white tweed jacket to marry James Righton on their wedding day, France, May, 2013. 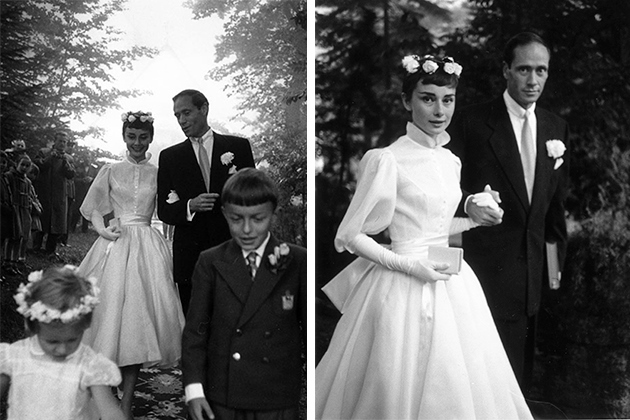 Audrey Hepburn wears a Pierre Balmain designed dress at her wedding to actor Mel Ferrer, September 25, 1954 in Switzerland. 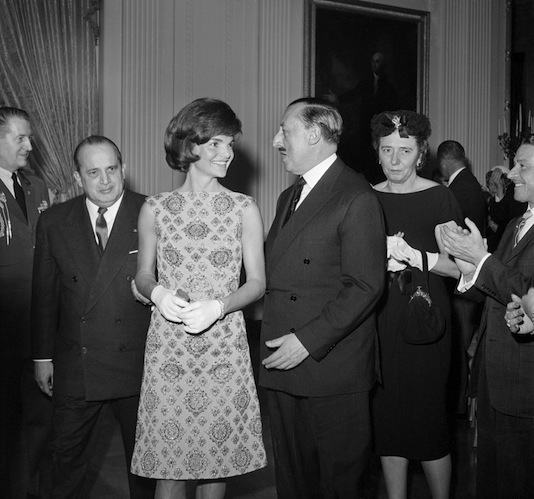 The iconic Pink Chanel outfit – Jackie Kennedy wore the same in Dallas. 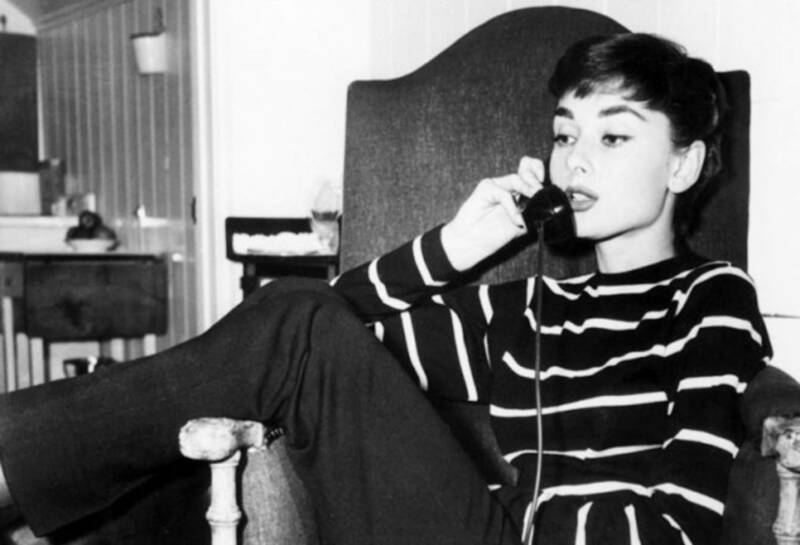 When I was a teenager, there weren’t any table books such as “Fashion Style Icons” – in my time, there were only coffee table books on actresses. I had two huge books on Romy Schneider in which I used to browse, dreaming about the big, wide world out there! Romy Schneider lived in glamourous Paris and dated Alain Delon! For me, this was exotic, mysterious, couragious, self-determined and made a lasting impression on me. 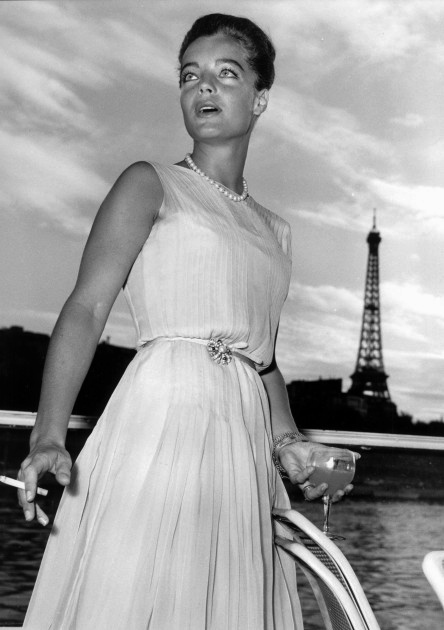 Hence, I’m sharing with you my personal Best of Romy iconic style moments. BE A ROMY IN A WORLD FULL OF KARDASHIANS. Romy Schneider and Alain Delon strolling in Paris. 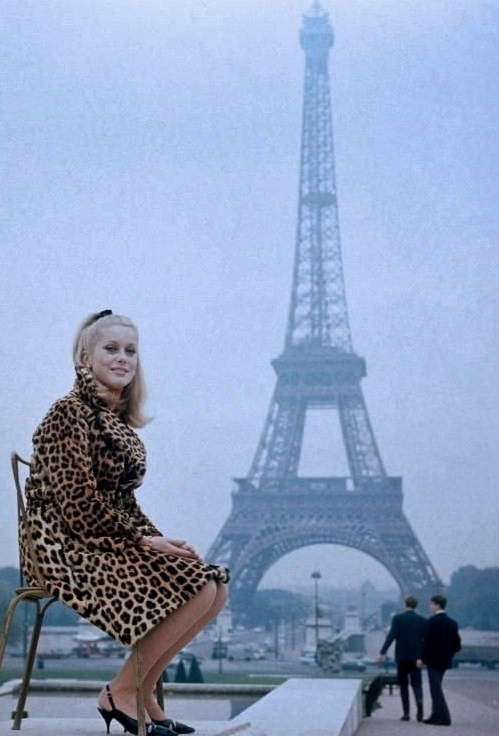 Romy is wearing a Leopard print coat (a Parisian staple today! ), fishnet tights and black pointy kittne heels. Romy displaying 60’s Romantic Style. A favourite of Rebels too! 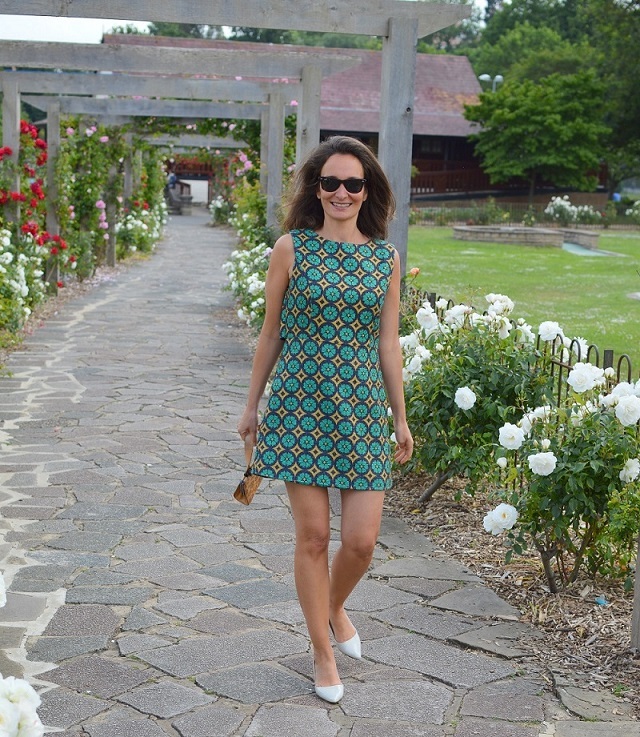 70’s Caftan and Carpet Style – LOVE! Cat Eyes and Leopard print Style. 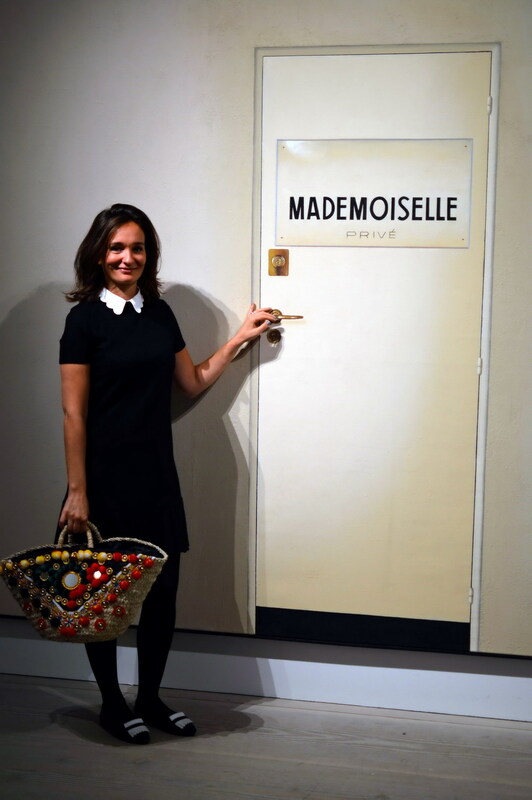 Jackie Kennedy’s francophile sense of style is legendary and still being copied today! 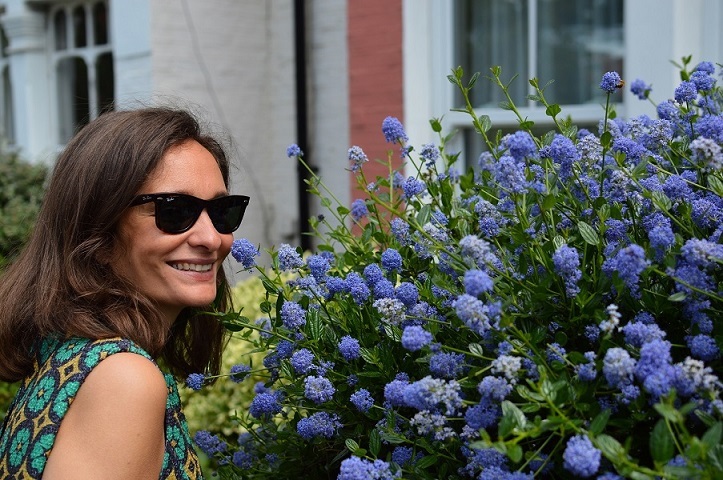 I’m not ashamed to say that I’m one of those copy cats: Monotone block colours, boxy jackets, straight shift dresses and relaxed riviera style on holiday epitomised the Jackie style and most of these items are represented in my wardrobe. The other day, I perused TK Maxx and saw this gorgoues sixties dress which screamed “Mad Men” and Jackie. 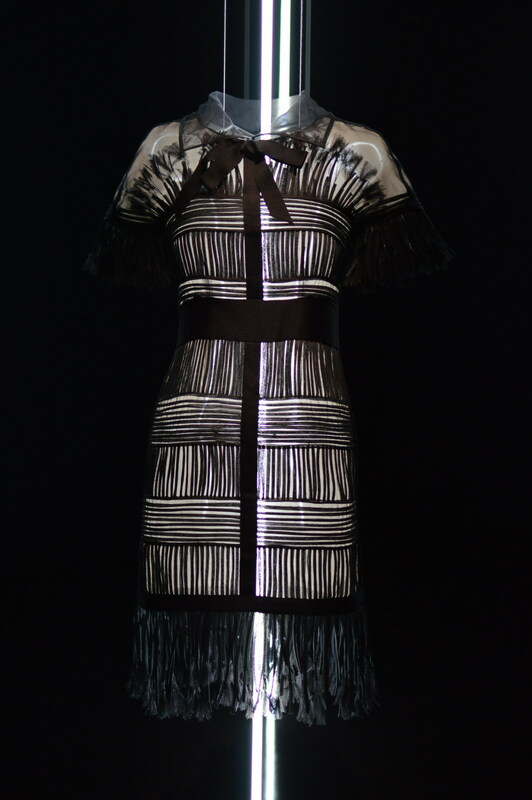 A beautifully tailored shift dress, weaved in a gorgeous emerald green and mustard yellow boucle tweed, all colours that are very much part of the new breath taking Autumn / winter 2016 collection as seen at Prada and Miu Miu. 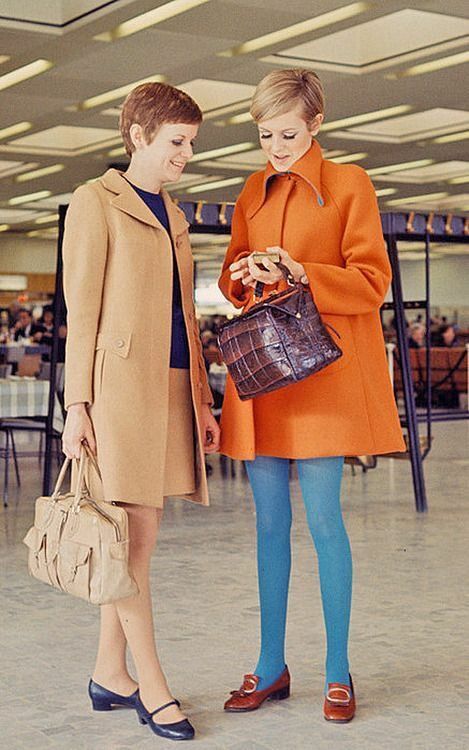 I’m so happy to see that the 60s fashion trend, initiated with the Mad Men series, shows no sign of abating. 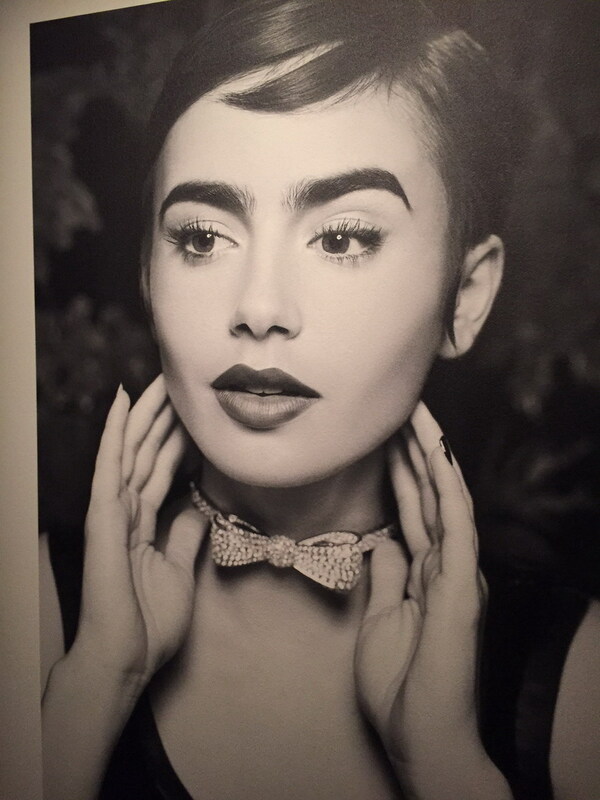 Seldom has fashion looked so flattering. 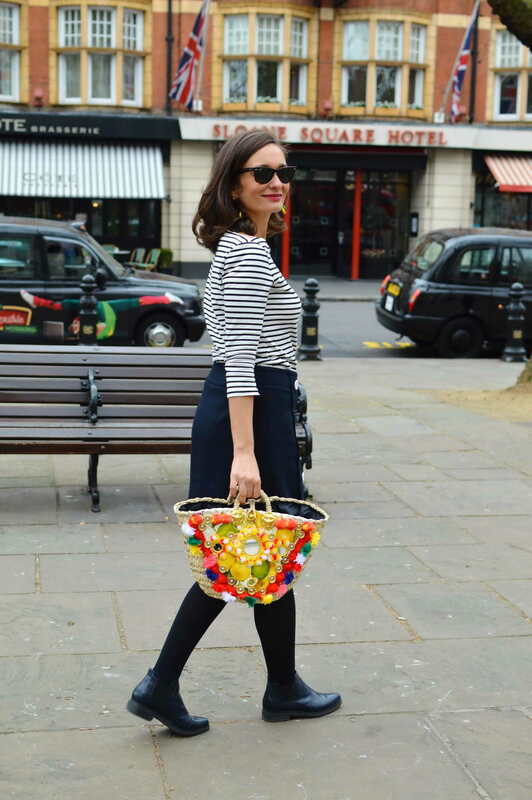 The tailoring, the colours, the cuts, the details: Let this trend never stop! The Corolla dress. 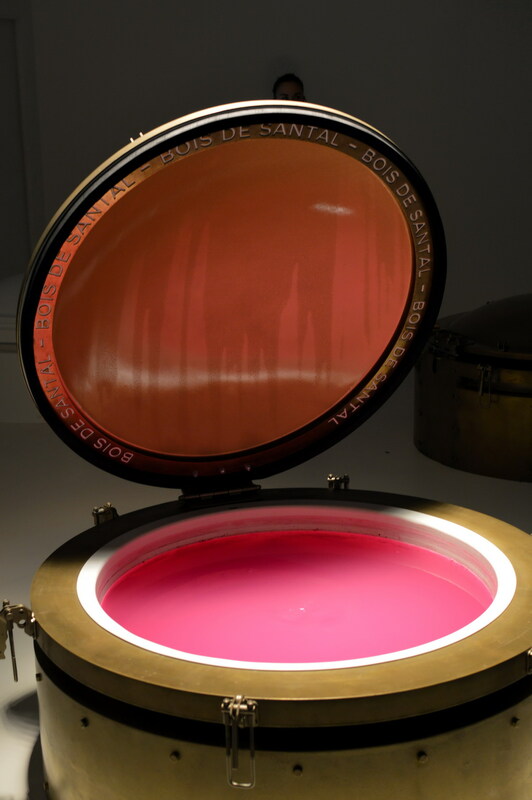 Raf Simon’s first collection for Dior in 2012. My all time favourite dress shape is the “Corolla” dress. 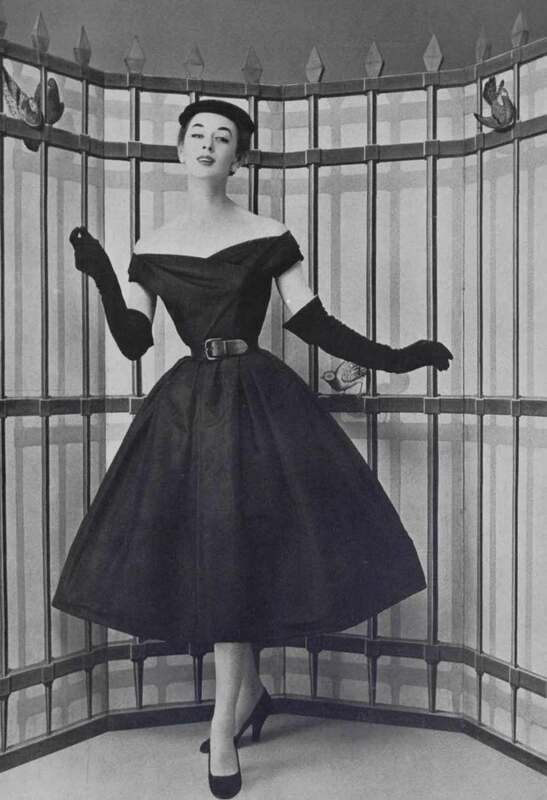 With it’s feminine 50s silhouette, fitted top, emphasized waist and voluminous skirt, it flatters every woman. Most of my Corolla robes are by MAx & Co, as this particular style is part of their perennial line. So where does the Corolla dress gets it’s name from? 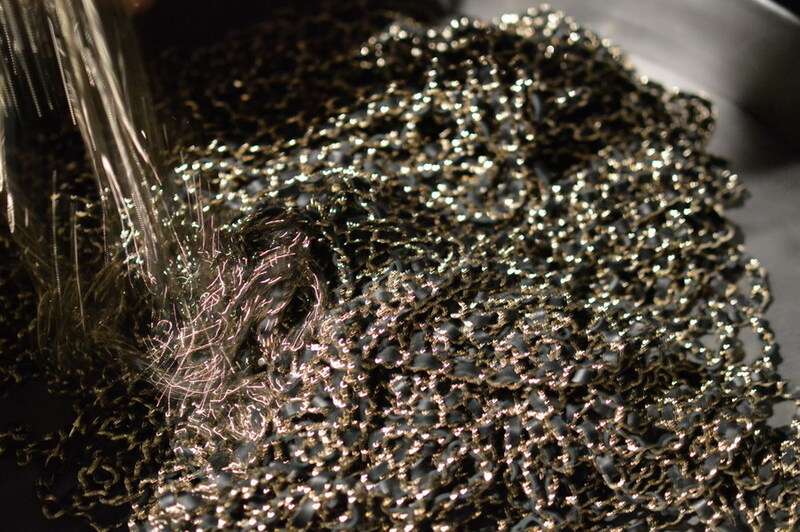 From no other than Monsieur Christian Dior. 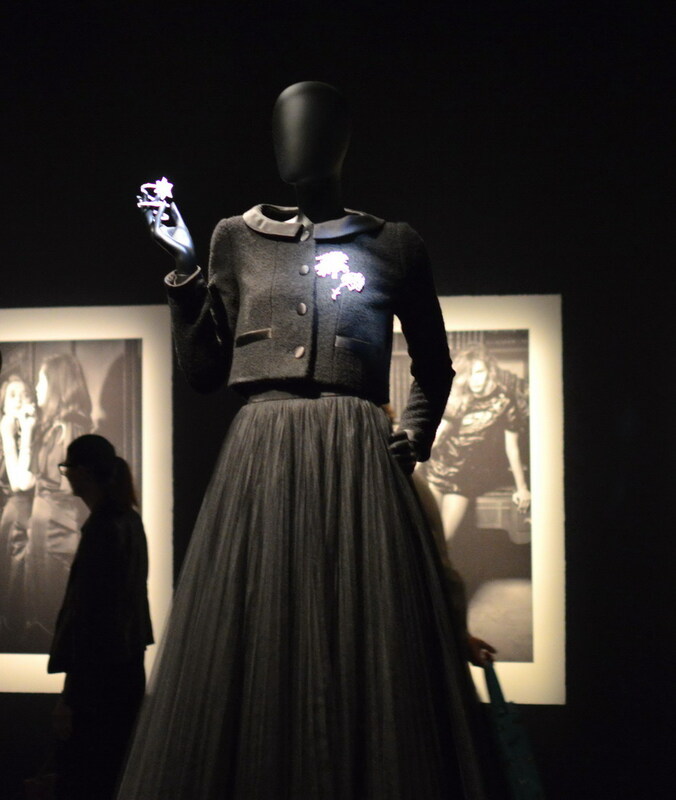 In 1947, Dior introduced the “New Look Corolla” line – featuring round shoulders, hourglass silhouette and A-line skirts, in seductive fabrics such as taffeta, satin and silk. 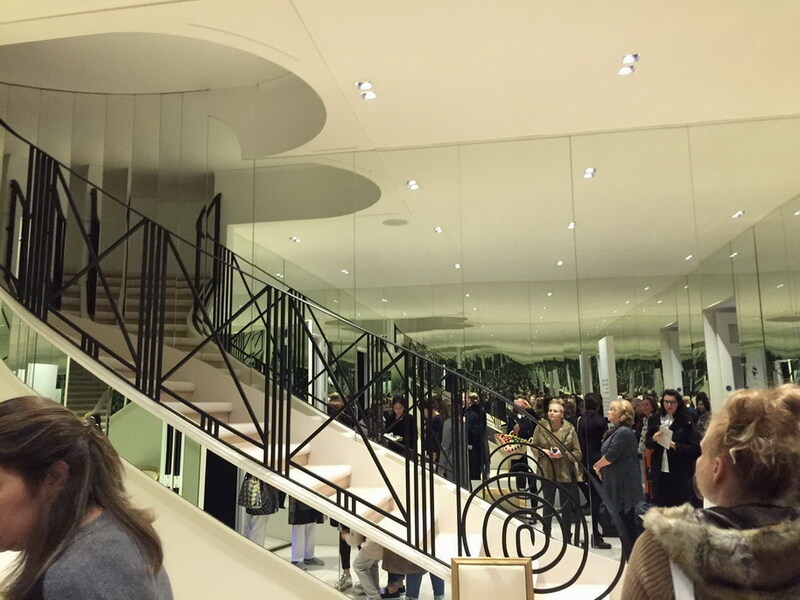 After the austerity and the masculine fashion of the two world wars, Dior wanted to make women feel elegant and ultra feminine again. Dior’s new look not only went on to revolutionise fashion for decades, the corolla became a time-less look. 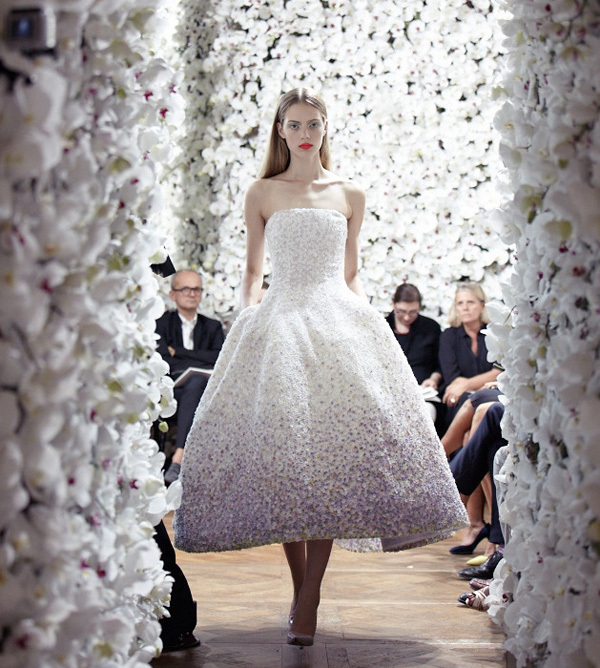 Raf Simmons, Dior’s current designer, paid homage to the corolla dress in his first Haute couture creations for Dior in 2012. Fellow romantique Diane Kruger wearing a corolla dress by Chanel. We’re dying to say goodbye to winter! 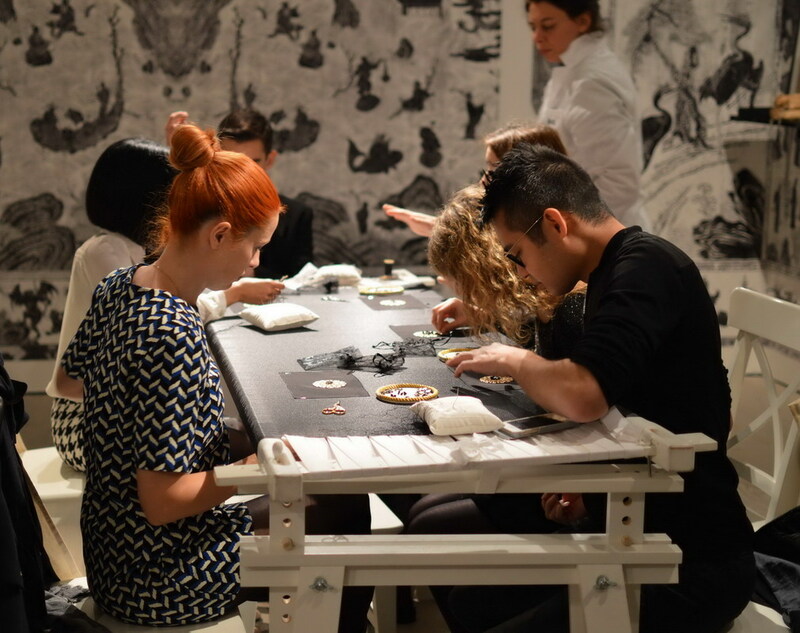 We want to move forward to an exciting, yet-to-be-discovered future. 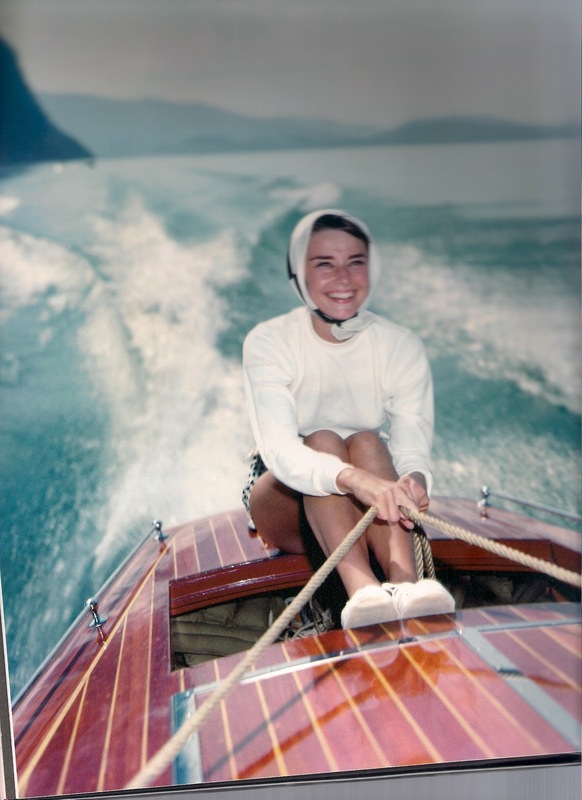 Summer is coming and we are looking forward to eating icecream, relaxing on the beach and maybe having a boat trip like Audrey Hepburn photographed by Hans Gerber on a lake in Bürgenstock, Switzerland, in August 1954. 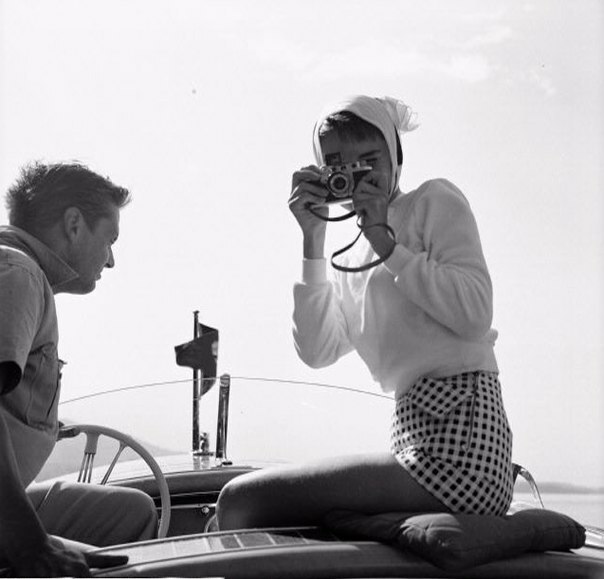 Audrey was wearing a long sleeve white shirt and shorts by Emilio Pucci. 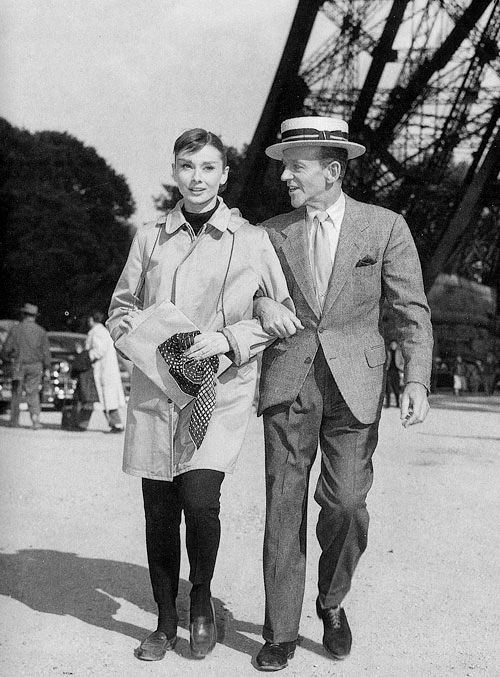 In December last year in Sydney, Romantique was wearing a white dress by Max & Co., a summer necklace with cherries, a cross body bag, Sunglasses by Prada – a similar model which Audrey holds in the first image. 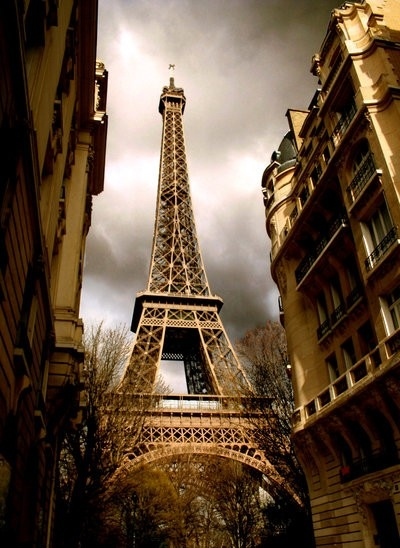 It really is a magical feeling when you first lay eyes on the Eiffel Tower. If you do nothing else whilst in Paris, a trip to the tower is a must! Last week in Paris, Romantique and I didn’t climb to the top of the tower, but visited the garden of Champ de Mars near the Ecole Militare. A relaxed way to see the Eiffel tower, strolling in the gardens, sitting on the bench taking in the view and jumping to take silly photos. 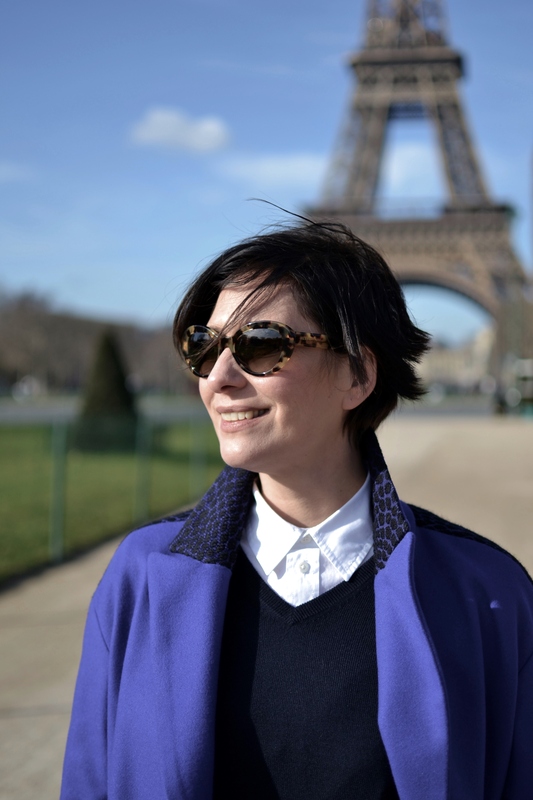 The allure of the Eiffel Tower is the best iconic photo shoot background you can have for your Paris photos. 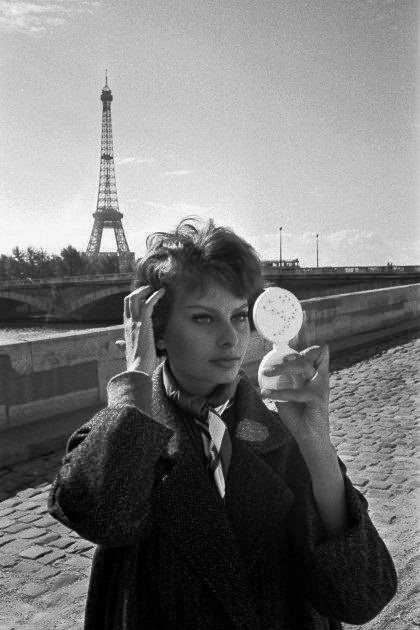 Have look at pictures of Audrey Hepburn, Sophia Loren, Romy Schneider or Catherine Deneuve with the masterpiece Eiffel Tower in the back.